When it comes to severe weather, you never know when a thunderstorm may spawn into a deadly, destructive tornado. Considering Walmart serves more than 140 million customers in more than 4,000 U.S. locations on a weekly basis, it’s safe to say we’ve seen our fair share of bad weather. Because of our size and scale, we cover a lot of territory and ride out a lot of storms with our fellow Americans. When there’s a weather warning, there’s usually a Walmart or Sam’s Club not too far in the distance. That’s why it’s extremely critical for us to ensure our stores and club associates know what to do when it comes to emergency preparedness and response. As part of our commitment to emergency preparedness, our stores and clubs are set up to receive a phone call notification as soon as the National Weather Service issues a severe thunderstorm warning or a tornado watch/warning. When this happens, stores are expected to take immediate action to implement their severe weather safety plan. It’s not only important to implement the plan, but it’s also important to review the plan on a regular basis. Case in point: About a month before the EF-5 tornado hit Joplin in May 2011, our store manager had decided to review his store’s safety plan. Andy Martin, Store Manager, and his team reviewed the store’s layout and determined the back of the store was the safest place to be in the event of a tornado. Then, he made sure that each and every associate knew how to execute the plan. Andy was off from work the day the storm hit, but his associates knew what to do. They ran the plan. They alerted customers to huddle in the back of the store which was pre-determined as the safe zone. Their quick actions in working the plan ultimately helped to save more than 200 lives. We take safety into account in everything we do. That includes identifying safe zones for every facility we have. Because locations vary, what is an appropriate safe zone for one store may not be appropriate for another. For example, we realize that the designated zone for Joplin, MO may not be the designated zone for every store. More importantly, we realize severe weather is unpredictable so we focus our energy on preparing our associates. By providing them with safety protocols and enabling them to develop an emergency plan for work and home, we’re helping them to be ready for the unexpected. During National Severe Weather Preparedness Week, we encourage you to put together an emergency plan for your family and your business. Whether you are facing severe weather, a fire in your home, a utility outage in your workplace, or any other emergency, developing a preparedness plan will make you, your family and your employees more resilient. Walmart hopes you will take action by pledging to prepare for the unexpected at work and at home. As the risk for severe weather conditions continue throughout parts of the Midwest and South, we wanted to take a second to remind everyone in areas expected to see severe weather to take necessary precautions now. We encourage all individuals in areas where severe weather is expected to listen to NOAA Weather Radio, especially as we head into the evening and overnight, and local news for severe weather updates and warnings and to always follow the direction provided by their local officials. Severe Thunderstorm Watch – Tells you when and where severe thunderstorms are likely to occur. Watch the sky and stay tuned to NOAA Weather Radio, commercial radio or television for information. As weather conditions often change quickly, it’s important to stay updated on your local forecast conditions at weather.gov (or mobile.weather.gov on your mobile device). Do not touch downed power lines or objects in contact with downed lines. Report downed power lines and electrical hazards to the police and the utility company. 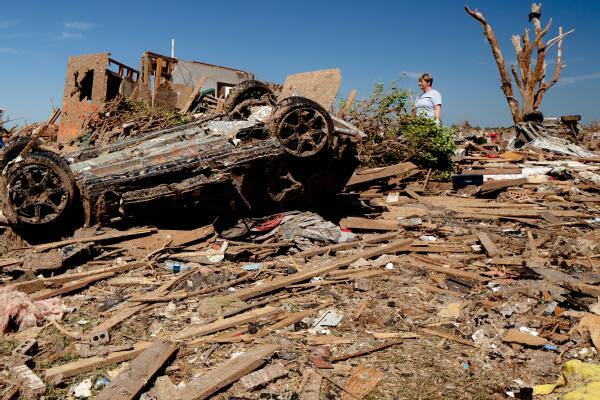 Injury may result from the direct impact of a tornado or it may occur afterward when people walk among debris and enter damaged buildings. Wear sturdy shoes or boots, long sleeves and gloves when handling or walking on or near debris. Visit www.ready.gov/severe-weather for more tips on what to do if severe weather is expected in your area. You can also visit http://m.fema.gov for safety tips on your mobile device. It’s about time. Someone has admitted that DR/BCP writers have ignored the personal issues of employees following a disaster when creating business continuity plans, reviewing them, or just writing about them. Eric Krell wrote in Business Finance on November 6, 2012, an article entitled “Sandy Exposes the Human Side of Continuity.” I was alerted to the article by Phil Rothstein. Perhaps for Mr. Krell, Sandy was HIS first exposure to the human side of continuity. I’ve been teaching a unit called “Take Care of Your People” with my colleague Deidrich Towne, Jr. at DRJ conferences since 1999. We have presented lessons learned from our real experience of “people” issues associated with disaster response. People, including employees, have routines that must be followed daily. Examples are taking care of children, pets, elderly parents, and farm animals. If you were to review Maslow’s hierarchy, you wouldn’t find work or career in the list of critical, life-sustaining functions. Let me give you an example. When putting together a strike plan, management employees were assigned duties requiring they work 6 days, 12-hour shifts. I got a call from a woman who said she couldn’t work that many hours in a week. I told her it was a “condition of employment” for management personnel. She responded, “Dr. Phelan, three months ago my husband and I adopted a child on the condition I would not work outside the home more than 35 hours per week. If I accept the strike assignment, I will lose my child.” I called her boss and set up a job-sharing arrangement to cover the duty. There are human considerations that “trump” reporting to work. These are escalated when disaster strikes. So, what’s a business continiuty planner to do? Some of you remember the exercise I used to illustrate what might happen when one is required to work under alternate or disaster recovery circumstances. Remember my asking you to sign your name while talking on the phone? Then I asked you to put the phone in the other hand and sign your name again. I observed three things. 1. You laughed, knowing that signing your name with the other hand would be difficult. This is an expression of fear or anxiety. This almost always happens when people are asked to work under alternate conditions. You can counter some of this with more exercises. 2. Your second signature was of lower quaility than your first. People working in disaster response mode will often not produce the same quality of work as they would under normal conditions. Plan for time to correct errors. 3. You took more time to sign your name with the other hand. Workers in alternate or disaster response mode will need more time to complete the same work they complete under normal circumstance. You can counter this with longer shifts and planning for backlog once the disaster response is over. When workers have pressing needs at home, they will meet those needs before reporting to work. You need to plan for a certain percentage of your workforce to be unavailable in disaster response. Most of all, you need to be compassionate toward those workers who have to make the difficult choice to “not report” because personal issues are more important. Find time to discuss this both in advance of a disaster and certainly during the debreif following a disaster. I congratulate Eric Krell for admitting he had not considered this prior to Hurricane Sandy. He will going forward. Hoboken, N.J., Nov. 1, 2012 — FEMA Inspector Richard Martin inspects a basement apartment in Hoboken two days after the residents applied for FEMA assistance. FEMA is working with many partners and organizations to provide assistance to residents affected by Hurricane Sandy. We understand the mixed range of emotions survivors may be experiencing after going through a catastrophic and life changing disaster. Many people are returning home to find that everything they’ve ever known is completely destroyed. During these difficult times, it’s hard to even process everything that has occurred over the past several days, let alone think about the next steps — but we’re here to help you through the disaster registration process and make it as easy as possible. If you’re a survivor in one of the declared counties you should call to apply for federal assistance. If you have access to the Internet, you can apply online and on your mobile device too. If you don’t have access to the Internet, please call 1-800-621-FEMA(3362) TTY 1-800-462-7585. Our online application is an easier and faster way to apply for assistance, visit at www.disasterassistance.gov to complete your application. You should also be aware that FEMA often opens Disaster Recovery Centers in disaster areas, once they are established in your area, you can visit the location to speak to someone in person about available disaster programs. Applicants who register with FEMA will be given a personal application number. This number will be used to provide later to a FEMA Housing Inspector. So it’s important that you write this number down, and keep it secure and handy for future use. A FEMA Housing Inspector will contact you to make an appointment to visit your property within 14 days after you apply. The inspector will assess disaster related damage for your real and personal property. There is no fee for the inspection. Inspectors are contractors, not FEMA employees, but your inspector will have picture identification. It is important to understand that you or someone 18 years of age who lived in the household prior to the disaster must be present for your scheduled appointment. This inspection generally takes 30-40 minutes but can be shorter, and consists of a general inspection of damaged areas of your home and a review of your records.It’s also important to understand what the inspector will be asking of you. Once the inspection process is complete, your case will be reviewed by FEMA and you will receive a letter, or email if you signed up for E-Correspondence, outlining the decision. If you qualify for a FEMA grant, FEMA will send you a check by mail or deposit it directly into your bank account. You will also receive a letter describing how you are to use the money. You should only use the money given to you as explained in the letter and save receipts on how you spent the money. If you do not qualify for a FEMA grant, you will receive a letter explaining why you were turned down and will be given a chance to appeal the decision. Your appeal rights will be described in this letter. Appeals must be in writing and mailed within 60 days of FEMA’s decision. If you’re referred to the Small Business Administration (SBA), you will receive a SBA application. The application must be completed and returned in order to be considered for a loan as well as certain types of grant assistance. SBA representatives are available to help you with the application at localDisaster Recovery Centers. Completing and returning the loan application does not mean that you must accept the loan. As with all disasters, FEMA is just part of the team that supports disaster response and recovery efforts. That team is comprised of tribal, territorial, state, and local governments, faith-based and community organizations as well as the private sector and voluntary organizations. Together we are working to help survivors through this difficult time in their lives. If you know someone who lives in an eligible county and has suffered damages from Hurricane Sandy or if you have suffered damages yourself, we encourage you to register for federal disaster assistance as soon as possible. The sooner you apply, the faster you will receive a reply and can move forward in the recovery process. And if you were not affected by Hurricane Sandy but know survivors, please help us spread the message and encourage them to apply for assistance. Cash is the most efficient method of donating – Cash offers voluntary agencies the most flexibility in obtaining the most-needed resources and pumps money into the local economy to help businesses recover. Volunteer or donate through a trusted organization – At the national level, many voluntary, faith-based and community-based organizations are active in disasters, and are trusted ways to donate to disaster survivors. In addition to the national members, each state has its own list of voluntary organizations active in disasters. Also, please review our page with info on volunteering and donating responsibly. We are committed in continuing to provide support to the governors, tribal leaders and communities impacted by Hurricane Sandy. As response efforts continue, FEMA and our federal partners have been in close contact with emergency officials to assess the unmet needs of survivors. Visit our Hurricane Sandy page for updates and other resources related to response and recovery efforts. The objective of a disaster recovery plan is to ensure that you can respond to a disaster or other emergency that affects information systems and minimize the effect on the operation of the business. When you have prepared the information described in this topic collection, store your document in a safe, accessible location off site. Here are the major goals of a disaster recovery plan. To minimize interruptions to the normal operations. You can use the tables in this topic to record your data processing personnel. You can include a copy of the organization chart with your plan. You can use the Display Software Resources (DSPSFWRSC) command to complete the table in this topic. You can use the Work with Hardware Products (WRKHDWPRD) command to complete the table in this topic. This list should be audited every ____________ months. Use these procedures for information services backup. Daily, journals receivers are changed at ____________ and at ____________. The preceding procedure also saves the journals and journal receivers. On ____________ at ____________ a complete save of the system is done. All save media is stored off-site in a vault at ____________ location. It is suggested that all personal computers be backed up. Copies of the personal computer files should be uploaded to the System i environment on ____________ (date) at ____________ (time), just before a complete save of the system is done. It is then saved with the normal system save procedure. This provides for a more secure backup of personal computer-related systems where a local area disaster can wipe out important personal computer systems. For any disaster recovery plan, these three elements should be addressed. To document the appropriate emergency response to a fire, natural disaster, or any other activity in order to protect lives and limit damage. To ensure that essential data processing operational tasks can be conducted after the disruption. To facilitate the rapid restoration of a data processing system following a disaster. 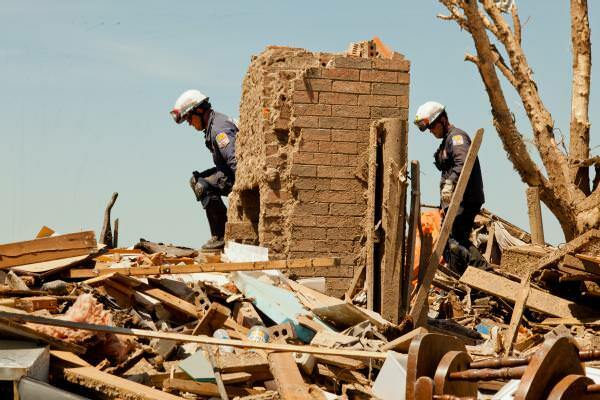 This checklist provides possible initial actions that you might take following a disaster. 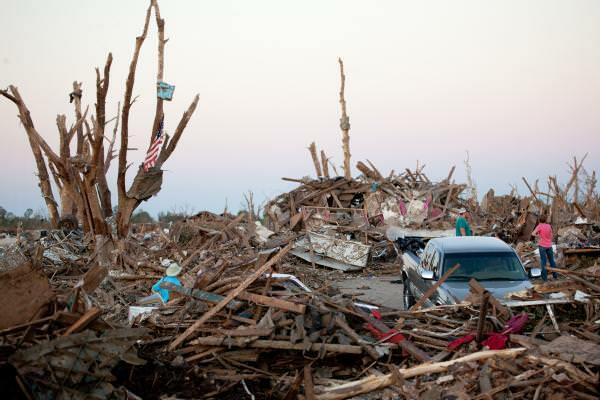 Consider these recovery startup procedures for use after actual disaster. This topic provides information about how to plan your recovery task at a mobile site. Notify ____________ of the nature of the disaster and the need to select the mobile site plan. Confirm in writing the substance of the telephone notification to ____________ within 48 hours of the telephone notification. Confirm all needed backup media are available to load the backup machine. Prepare a purchase order to cover the use of backup equipment. Notify ____________ of plans for a trailer and its placement (on ____________ side of ____________). Depending on communication needs, notify telephone company (____________) of possible emergency line changes. Begin setting up power and communications at ____________. Power and communications are prearranged to hook into when trailer arrives. At the point where telephone lines come into the building (____________), break the current linkage to the administration controllers (____________). These lines are rerouted to lines going to the mobile site. They are linked to modems at the mobile site.The lines currently going from ____________ to ____________ would then be linked to the mobile unit via modems. This can conceivably require ____________ to redirect lines at ____________ complex to a more secure area in case of disaster. When the trailer arrives, plug into power and do necessary checks. Plug into the communications lines and do necessary checks. Begin loading system from backups. Plan a schedule to back up the system in order to restore on a home-base computer when a site is available. (Use regular system backup procedures). Secure mobile site and distribute keys as required. Keep a maintenance log on mobile equipment. You can attach the mobile site setup plan here. You can attach the communication disaster plan, including the wiring diagrams here. You can attach the electrical service diagram here. An alternate hot site plan should provide for an alternative (backup) site. The alternate site has a backup system for temporary use while the home site is being reestablished. Notify ____________ of the nature of the disaster and of its desire for a hot site. Confirm in writing the telephone notification to ____________ within 48 hours of the telephone notification. Begin making necessary travel arrangements to the site for the operations team. Confirm that you have enough save media and that it is packed for shipment to restore on the backup system. Prepare a purchase order to cover the use of the backup system. Review the checklist for all necessary materials before departing to the hot site. Make sure that the disaster recovery team at the disaster site has the necessary information to begin restoring the site. Provide for travel expenses (cash advance). After arriving at the hot site, contact home base to establish communications procedures. Review materials brought to the hot site for completeness. Start to load the system from the save media. Plan the schedule to back up the hot-site system in order to restore on the home-base computer. You can attach the alternate-site system configuration here. You can learn how to restore the entire system. To get your system back to the way it was before the disaster, use the procedures in Checklist 20: Recovering your entire system after a complete system loss. If you install from the alternate installation device, you need both your save media and the CD-ROM media containing the Licensed Internal Code. The Installing, upgrading, or deleting i5/OS and related software PDF. You can order a printed version of this PDF (SC41-5120; feature code 8006) with i5/OS software upgrade orders or new hardware orders. The Recovering your system PDF. You can order a printed version of this PDF (SC41-5304; feature code 8007) with i5/OS software upgrade orders or new hardware orders. The management team must assess the damage and begin the reconstruction of a new data center. What is the projected availability of all needed computer equipment? Will it be more effective and efficient to upgrade the computer systems with newer equipment? What is the estimated time needed for repairs or construction of the data site? Is there an alternative site that more readily can be upgraded for computer purposes? After the decision to rebuild the data center has been made, go to Section 12. Disaster site rebuilding. In successful contingency planning, it is important to test and evaluate the plan regularly. Data processing operations are volatile in nature, resulting in frequent changes to equipment, programs, and documentation. These actions make it critical to consider the plan as a changing document. Table 1 should be helpful for conducting a recovery test. Select the purpose of the test. What aspects of the plan are being evaluated? Describe the objectives of the test. How will you measure successful achievement of the objectives? Meet with management and explain the test and objectives. Gain their agreement and support. Have management announce the test and the expected completion time. Collect test results at the end of the test period. Evaluate results. Was recovery successful? Why or why not? Determine the implications of the test results. Does successful recovery in a simple case imply successful recovery for all critical jobs in the tolerable outage period? Make suggestions for changes. Call for responses by a given date. Notify other areas of results. Include users and auditors. Change the disaster recovery plan manual as necessary. Recovery of individual application systems by using files and documentation stored off-site. Reloading of system save media and performing an initial program load (IPL) by using files and documentation stored off-site. Ability to process on a different computer. Ability of management to determine priority of systems with limited processing. Ability to recover and process successfully without key people. Ability of the plan to clarify areas of responsibility and the chain of command. Effectiveness of security measures and security bypass procedures during the recovery period. Ability to accomplish emergency evacuation and basic first-aid responses. Ability of users of real time systems to cope with a temporary loss of online information. Ability of users to continue day-to-day operations without applications or jobs that are considered noncritical. Ability to contact the key people or their designated alternates quickly. Ability of data entry personnel to provide the input to critical systems by using alternate sites and different input media. Availability of peripheral equipment and processing, such as printers and scanners. Availability of support equipment, such as air conditioners and dehumidifiers. Availability of support: supplies, transportation, communication. Distribution of output produced at the recovery site. Availability of important forms and paper stock. Ability to adapt plan to lesser disasters. Use this information to do disaster site rebuilding. Floor plan of data center. Determine current hardware needs and possible alternatives. Data center square footage, power requirements and security requirements. Security requirements: locked area, preferably with combination lock on one door. You can attach the vendors information here. You can include a copy of the proposed floor plan here. Keep your plan current, and keep records of changes to your configuration, your applications, and your backup schedules and procedures.